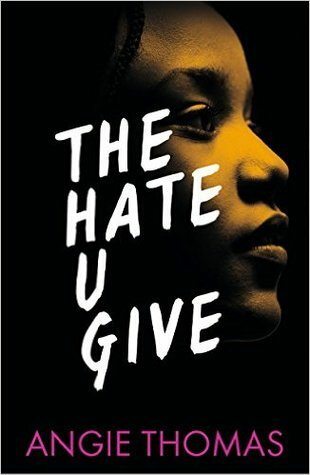 The Hate U Give is absolutely an incredible read. It’s probably one of the most hyped books in the book blogosphere of…ever!??? Even right back when it was announced!! Because it had so many publishers auctioning for it, plus it was a six figure deal, plus I believe it even got moved forward in publishing date because everyone was so excited about it, plus it already is in works to become a movie and it’s been out for a hot month. And it’s so worthy of the hype! I recommend getting your little eyeballs towards a copy and reading it ASAP. It perfectly combines talking about the really important topic of the #BlackLivesMatter movement with excellent storytelling, writing, and characters. It’s just JUST A DEBUT. 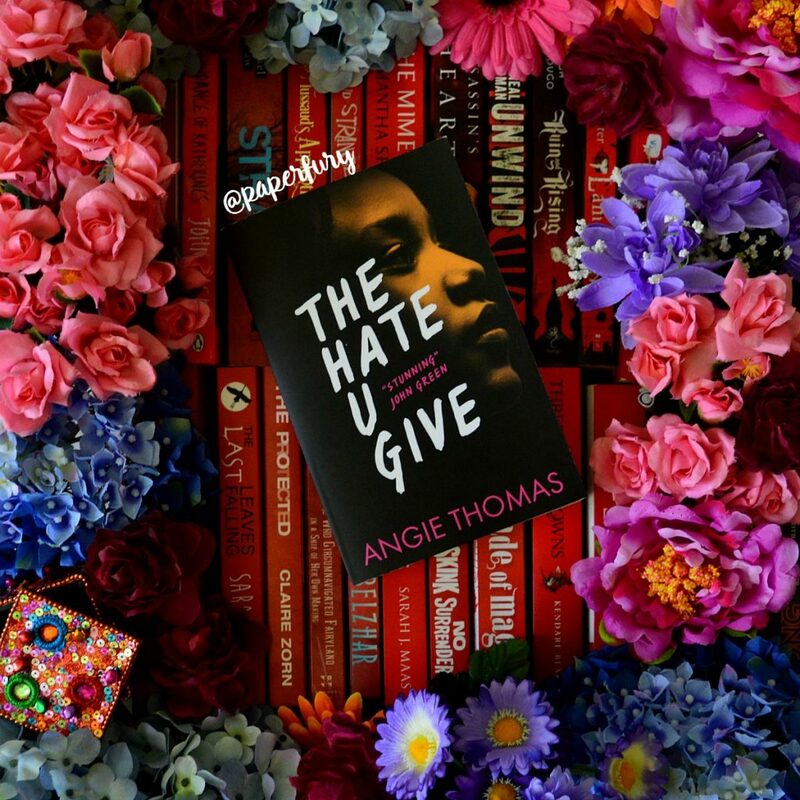 Hopefully Angie Thomas becomes one of the top contemporary voices in YA! I think the characters made it incredibly special too. Starr was so winning and relatable and complex…I just rooted for her the whole time. She’s got personality, dreams, and fears — and will also refuse to watch Harry Potter with her dad because he mocks it too much. Which brings me to one of the best things of ever: this book focuses on family!! Be still my beating heart. Positive !! loving !! family !! representation!! Starr’s parents are loving and supportive and respectful and they bring up their kids to think for themselves. Yes please and thank you for their existence. I also enjoyed reading about teens who actually respected their parents. Suuuuuure they did dumb stuff BECAUSE IT’S IN THE CONTRACT OF BEING A TEENAGER, but they loved their parents fiercely and also would rather relocate to Antartica to live amongst the penguins instead of getting caught doing evil because #SoDead. “So she unfollowed your Tumblr thingy,” Momma says, proving why she can never have one. I also adored all the secondary characters! Every single of one of them was so real and complex. I was just…floored??!?? It wasn’t like “oh hear I am reading a piece of paper” it was actually “oh here I am being with humans who are totally alive right now“. And that’s what I wish every book would do. That’s the truest sign of excellent writing. Starr’s older brother Seven was like THE BEST and her little bro, Sekani, was a complete annoying squidge. As all little siblings are. Starr has an epic Asian friend too! DeVante, a boy they end up helping who gets on the wrong side of his gang, was just adorable and I love how his story line went. OH OH YOU SEE THAT: all the characters had their own storylines. Starr’s obviously was prevalent, but no one was just existing for Starr. Hence it made the book so real. Starr has friends who are WOMEN, like bless THIS. It shouldn’t be irregular to read about epic and diverse women in books but…it is. There is so much FOOD. I was so hungry thanks for nothing, book. Starr has a super sweet relationship with her uncle as well. It features good people who mess up. It’s funny!! It’s such a serious story line but there are still quips and TONS of time where I was grinning like a dork. It talks about the brutal unfairness of racism but it also shines a light into the world. I felt sad in so many places, but it sent an excellent powerful message in a hopeful way. There were only two tiny things that weren’t my favourite. And they’re, of course, subjective! As is every and anything in my reviews! (1) It’s very long…I loved reading it, obviously, looooooved it. But I’ve yet to read a 500-page contemporary that doesn’t feel like it waffled a bit. I think this definitely qualifies as a “must read” for anyone and everyone! It’s a powerful voice about racism and #BlackLivesMatter and is about speaking up even when you’re scared. It’s not a “comfortable” book to read, and it shouldn’t be! It made me think! No one should ever witness their friend die in front of them and the way the book progresses and Starr finds her voice is just amazing. It’s a sad but hopeful book! Plus I love Starr and her family SO MUCH and the nerd levels were A+ and please I need a snack now because the foodie fiction element was everything. THANK YOU TO WALKER BOOKS AUSTRALIA FOR THE REVIEW-COPY. 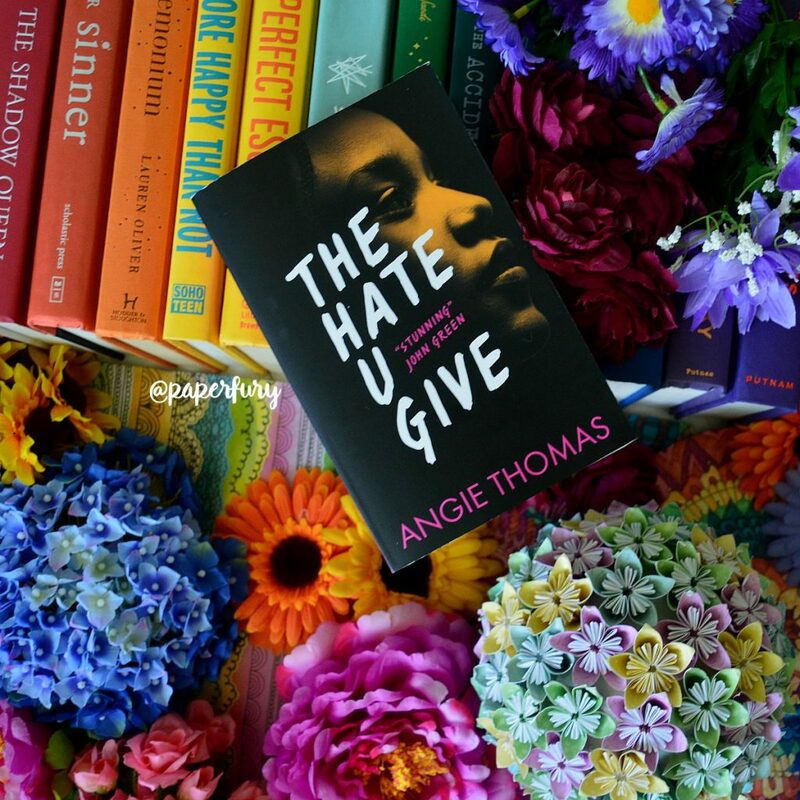 The Hate U Give by Angie Thomas was published March, 2017.
have you read The Hate U Give yet?!?? are you going to??? who’s your favourite fictional family?!? 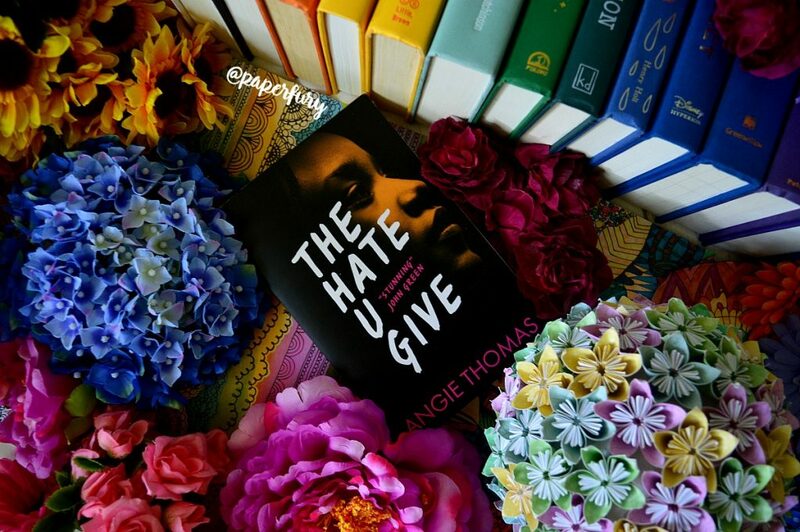 The Hate U Give! Glad to see your review. A bit of a shame though they only have that nice cover in the States, huh. At least the white one is the one I like better. I’ve heard she’s working on another book!! I reckon it’ll get picked up pretty fast haha. 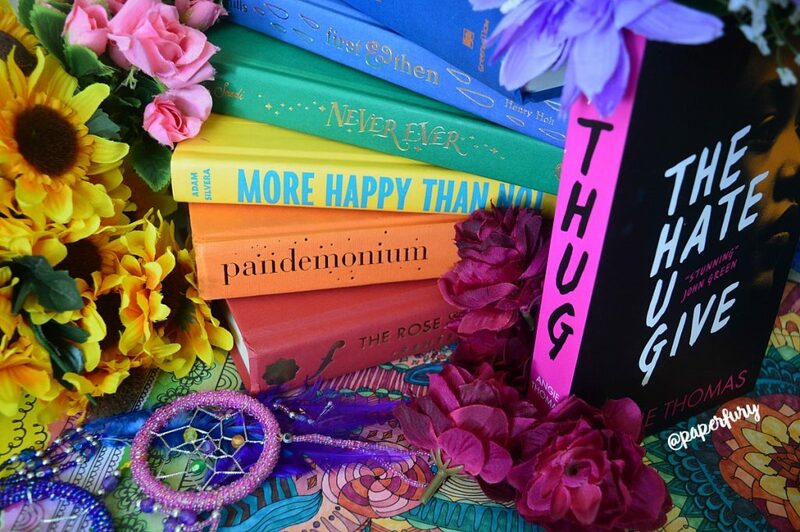 And omg I’m still in awe that you counted your TBR!😂 I thought about doing it and then also…no. I don’t even want that kind of shame in my life. Oh that does sound like a complicated situation. 😳 I’d say go with your gut? If you’re unhappy with the representation than don’t promote it? Or ask a POC blogger/reader what they think? Dang, no reply notification again. Glad I accidentally found this reply. Yeah, you’re probably right about that book. Maybe I should just post a GR review and not have it on my blog. Maybe no reason to. Or maybe just voice my concern that it might be problematic and see what the discussion brings out. Ahh yes I finished reading this book a few weeks ago and I loved it. I totally agree with all your thoughts and am trying to figure out whether it’s worth doing a review of this book considering a lot of stuff that people are saying is just the same stuff. I really enjoyed how all the different aspects of the story were seamlessly woven together. And honestly I think the main reason that Starr’s relationship was there was so the book became more of a YA contemporary that dealt with real issues as opposed to an ISSUE book. I see why it was done and it did allow for lots of good points to be made but like you I didn’t really ship Chris and Starr. I’m glad I wasn’t alone in not really shipping the romance, haha. But then maybe it just paled in comparison to Starr’s parents who were the true OTP of the book? ?😂 And IKR?! omg I spent so long on this review trying to think of a way to say what hasn’t already been said! But at least the world agrees: this book is bessst. Starr’s parents were totally the OTP, they were super cute and I really appreciated that. Honestly they deserved that title, who were Starr and Chris who had been dating for like a year (just a guess) to take the spotlight. I am glad that the world loves this book because it does deserve all the hype, and I can totally see why even people who don’t usually read books much would make sure to read it. However I feel like there are a bunch of other books about diversity that don’t get nearly this much hype which makes me wonder what the mystical combination of factors was in this book that made everyone love it so much. It’s always sad when books need hype and they don’t get them! And I know of at least two other #BlackLivesMatter books coming out this year that are ownvoices…yet don’t seem to be getting even HALF has much attention?!? I have no idea what the magical reason is.😂 Except this book is really well written??? So that obviously helps. Ahh great review Cait! Plus I just noticed that The Hate You Give forms THUG if you take the first letter of each word and I AM SHOOK. I have this one, so cannot wait to read it! I actually read an excerpt and it was so good, so cannot WAIT.. Yes! That’s a big part of the book actually, haha. The title is a quote and it spells out “THUG LIFE” but it makes all sense when you read it.😂I hope you like it!! I’ve literally not heard of a single person who didn’t like it! Glad you enjoyed the book and thank God it is not an overhyped one. I read a sample on my Kindle. Must get the full book. I haven’t read this yet, but I do want to, because it’s everywhere. Black Lives Matter is obviously a huge deal and I”m glad that it’s being written about. I love Sabriel and her family from the Old Kingdom (FOR GOODNESS SAKE CAIT READ IT ALREADY OKAY). I think Starr is a poor scholarship student at an elite school, and I think I might be able to relate to that lots. I would love it if there were books about some of the issues in my life being written about (e.g. the rise of Hindu nationalism in India and how scary it is) but I guess I’ll have to write them myself. Yes please, write those books yourself!! 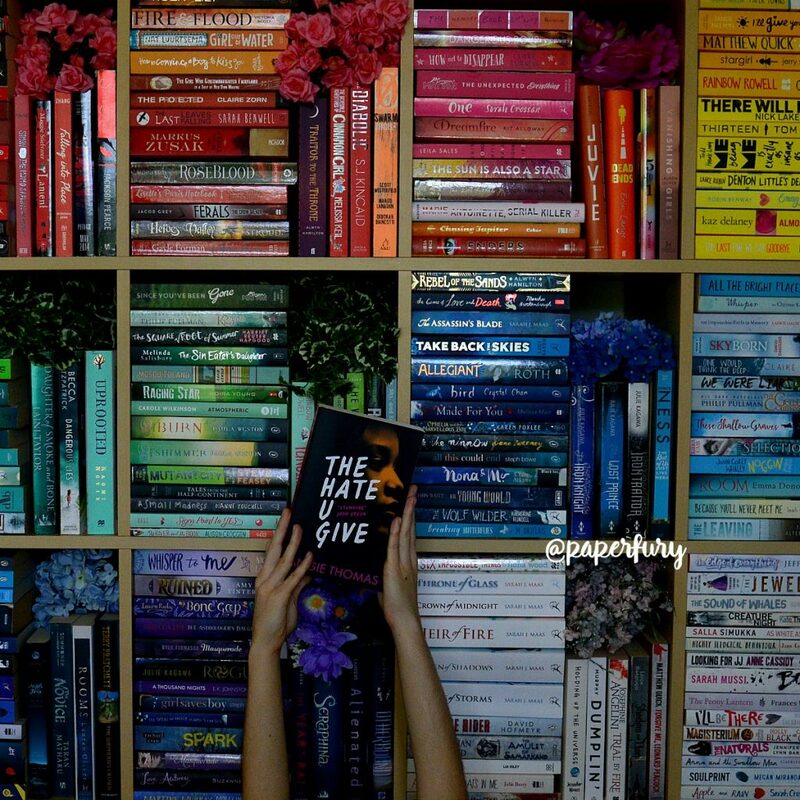 I want to read them!! I know right?!? I quite like my parents and I did when I was a teen too!😂 It’s also refreshing just to have positive parent/teen relationships for once…proof that they do exist haha. And yES: family orientated books are my favourite always. I’m so glad this book is doing so well!! It deserves it! So since I still have a few books waiting on my tbr and would like to have a hardcover copy, I never picked it up yet, when I saw it (several times) at the booksstore. Aww, thanks for reading!! <3 I hope you love it if you get a chance to try it!! I love this review. I recently read it myself and enjoyed it as well. I have a question that’s not related to THUG though. Recently I read Iris and the Tiger, which is by an Australian author about an Australian character, and in the book it said that she was only 12, but mentioned her looking at a picture of her and her friend on the first day of high school? I was just wondering if this was a mistake, because in the US high school starts at 14, and I’ve never heard of it starting earlier. I’ve read Iris and the Tiger but I honestly can’t remember it mentioning highschool? But yes, it can totally be that way if you live in NSW. I believe they start Year 7 at around 12 and that’s highschool. But I homeschooled so I’m not entirely sure haha.😂 We don’t have what you call “middle school” in Australia. We just have primary (6 to 12 year olds) and then highschool (12 – 18 year olds). I’m so excited for this book! I’m on a waiting list for it, but the list is massive. I’ll probably end up buying it before I get it through the list. Great review! Haha I can understand that! !😂 It’s great that it’s so highly coveted though! I’ve been seeing this one everywhere lately, but I haven’t seen it with this cover. I like this cover a lot too. Everyone has great things to say about The Hate You Give so I’m definitely going to have to check it out one of these days. My favorite fictional family? I would have to say the Weasley’s. lol! I’m such a Harry Potter nerd. The Weasleys ARE amazing.😂😂 And yessss, I hope you do get to it soon because I’d love to hear your thoughts! And tbh I haven’t heard of anyone who didn’t like it yet?! I HAVE BEEN DYING TO READ THIS BOOK. I MUST READ ASAP. Yay! Thanks! And yes, it’s the first step to a brighter, feministic future. I haven’t read this one yet. I’m not a huge contemporary reader, though, so I’m not sure if I will. I’m glad you liked it, though! It sounds like it has some really nice elements. Favourite fictional family… Well, I do like the Quimbys from the Ramona books by Beverly Cleary. I also like the family in I Capture the Castle because they’re just so quirky and kind of dysfunctional. Now that I think about it, though, it’s hard to come up with more than that… especially in YA (where teenagers are actually spores that manifest out of someone’s sloughed-off skin cells… or something; why don’t YA protagonists have actual parents again?). I completely get that feel don’t worry.😂I actually read it on release day and was SO proud of myself omg. Usually hyped books + me = run awwwwway until it all dies down! But this was so deserving of the hype and I didn’t feel let down at all! I agree about Starr and Chris. I didn’t hate them but I didn’t really believe them, either. No chemistry there. Although I did like Chris’ character development as he learned new things and grew as a person (specifically a white person trying to be an ally). The book didn’t pull any punches. And now I’m so pumped for this movie. It better be A+, because this book certainly was. I know right?!?? I LOVE sibling stories when they bicker each other half to death but would also stand by their sibling and let nothing hurt them. <3 PRECIOUS. And yes! It was missing the chemistry. I thought Chris was sweet and I loved Starr but I just didn't see why they were together...what did they even have in common? And I think a lot of the conversation around Chris was important! So that's good! I READ THUG AND IT WAS SO GOOD. Yeah, it was definitely hard to read sometimes. My blood pressure was ALL OVER THE PLACE. However, it shouldn’t be easy to read about such a tragic issue anyways, right?! You are so right in saying it’s sad but hopeful. I love that it didn’t dance around the sadness, because in the real world, this is how most police brutality cases go. I’ve never really been of fan of “this is happily ever after because this is a fictional story and ppl like happy”. Yes, I like happiness, but in this situation, happiness is not key. Also, THUG made me really want mac n cheese. Like badly, with Sriracha sauce. Yeah, I’m that person. I’m obsessed with sriracha ok.
Everyone needs to read this book, hands down. I hear so many good things about this book but I’ve still been a bit hesitant to pick it up – mostly because I’m still in my no-sad-books phase. I really enjoyed your review and mentioning it’s a sad/hopeful book makes me feel a bit better about picking it up. We’ve already got it on order for the library and kids are clamoring for it. I want to get it to them before the movie comes out. They’ll never read it once there’s a movie version. It’s definitely sad but not entirely depressing! Which I think is excellent because we need books to send messages of hope too! I finished it yesterday and I was quite dissapointed. Sure, it´s important read and I liked it but I expected much more. I feel like all that hype is more because of that topic than story. I think writing was average and I agree, it was too long. And also, they are in riot and they´re talking about macarons with cheese and weird names of black people. Thing that annoys me the most was racism. Okay, all book is about it and it´s really awful what happened. Can´t believe things like that actually happens in real life. But somehow I haven´t seen any blogger say that black people there was also very racist. No racism is okay. Aw I’m sorry you didn’t like it! I thought the storytelling was great as well as being a needed and powerful topic! THANK YOU FOR WRITING THIS REVIEW BECAUSE THIS WAS THE BEST BOOK EVER OMG. I’ve never seen a book like this live up to the hype. It was brilliant and smartly written and I loved Starr and I loved her family, and I think it’s so important to have this story being told right now. I agree that Chris wasn’t my favorite character. I guess everyone has a high school boyfriend that they’re kind of embarrassed about at one point, but I just felt like Starr could do better. I wanted Starr to have a interracial relationship with no harassment, and I thought it was important how she dealt with issues with race while dating. I like that even though she acknowledged that Chris wouldn’t be able to understand completely her experiences, she did try explaining them, both to Chris and the readers, because hearing her story is the best way people who can’t truly understand can empathize and help take action. THANKS FOR MENTIONING HOW GREAT HER PARENTS ARE. I LOVED it when she called them her OTP, and I found the tension between her dad and uncle refreshing and vulnerable. And in addition to her uncle, that meant there were THREE (4 counting the Uncle’s wife whose name I’m forgetting?) adults who actually cared for her?!?! YA first. I can’t wait to read more by Angie Thomas. And I do wish Starr/Chris had a better relationship because interracial couples are awesome and deserve all the love and support. But then it was also realistic how it showed their struggles. I just kind of feel like Starr was with him because she “had” to have a boyfriend or something??? Like IDK. I couldn’t see them staying together tbh. They didn’t seem to have enough in common. But Chris was still sweet and I loved him in the finale! MORE EXCELLENT PARENTS IN YA, YES PLEASE AND THANK YOU. Starr’s parents are just besssst. I haven’t read this!!!!! I will though! I promise I will! I read the couple first chapters, when they were released early on Epic Reads. It was attention grabbing, and I will read this! So looking forward to picking up this book! Can’t wait to read it! Honestly the title just puts me off. u…… and the length looks a bit scary too, but is it always nice when romances are not the most important thing. But could we have no romance in there at all for one. It’s actually reference to a famous quote…or I think it’s a rap maybe? I honestly can’t remember and now I feel bad haha. But the title is an important part of the story! I know right?!? You know a book is spot-on when NO ONE has said anything bad about it! I actually think it doesn’t have a single 1 starred review on Goodreads!! I NEED to read this! I only hear how amazing it is, so I need to get my hands on a copy! I had no idea it was being turned into a movie! That’s awesome! I’ve actually been avoiding this book because of all the hype – I’m a skeptical chipmunk – but you’ve definitely pushed me toward reading it! I love family involved stories and this sounds delightful! Thanks for sharing your thoughts Cait! I have not read this one yet but it is definitely on my MUST BE DEVOURED IMMEDIATELY list once I can get a copy. I tOTALLY understand the feel of too-many-books-not-enough-time. 😂😂 Why can’t we just like have 29 more hours in our day so we can read more?!? Okay, you convinced me to use part of my broken-ankle-concilation-Amazon-giftcard on this. I’m not usually much of a contemporary reader but your review (and all the hype) has given me hope for this one! Oh oh YAY I hope you enjoy it!! 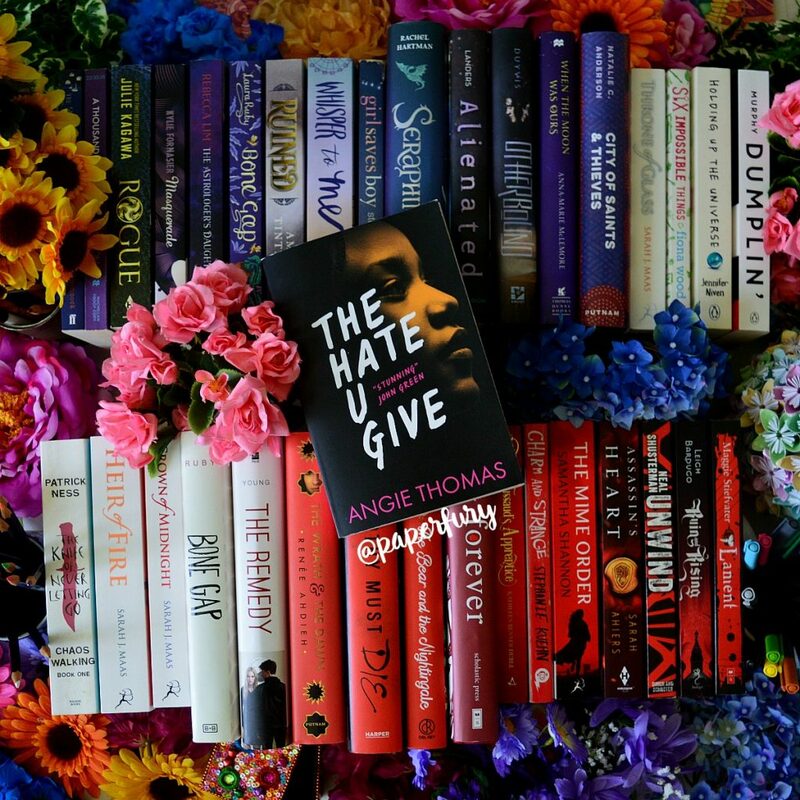 I have The Hate U Give, and will be reading it soooon! I’m just waiting for it to get closer to the release date here. But I’ll probably pick it up next as it’s releasing in the UK on…6th April? So yeah. But I AM SO EXCITED FOR THIS BOOK! I’m a little worried my heart won’t be able to take it. I’ve not been feeling too great recently; there’s been more talk of another racist book, there was a woman in the writing community who committed suicide because of months of online racist harassment, there was the terrorist attack in London, and then my best friend has had some personal problems, and so I have just been feeling it all and it’s been weighing on me. Just so much sadness. And I think this is going to hurt, too. I just hope I’m up to it by the time I pick it up! Favourite fictional family is the Weasley family in Harry Potter. Obvious, but. I love them. Oh that’s really tough, I’m sorry for you Jo! Definitely don’t read it yet if you’re going through a tough time. Although I do promise it’s not completely depressing. <3 Which I thought was great, because it sent such a good message in the end. I totally understand. I find long books scary too!🙈🙊 Although tbh, my two top favourite books of this year have been 500+ pages haha, so they’re scary but often worth it! I might have to read this next! I also love this cover, it’s the first time I’ve seen this version of it. It’s the UK paperback!! I love both covers. They’re so stunning, right?! It’s so rare that a book stands up to it’s hype and I’m so glad this one did. Like, really, really glad. Because right now, if there’s any book that needs to be read it’s this one. Agreed!! Like usually I’m a bit dubious by hyped books but an important message AND excellent writing/characters??? PURE AMAZINGNESS. <3 Angie Thomas deserves all the love and admiration!! I have so much love for this book. <3 It's so real and relevant and important but also just SO SO SO GOOD. The family dynamics are golden. IT IS SO RELEVANT AND IMPORTANT!! I’m glad it’s getting the love it deserves!! I’m about halfway through it, and I absolutely ADORE it so far! I’m so glad!! And I’m so late at replying to comments that you’re probably finished by now.😂 But I hope you enjoyed the whole thing! I really liked your review! I recently finished reading this book after thinking about it and waiting for months to finally get my hands on it! I ended up really loving it and didn’t really notice that it was almost 500 pages long! It also made me cry multiple times and I am not that much of a crier so I knew it was a good one! Eeep, I’m so glad you enjoyed it too!! <3 It's such a special book and I've yet to meet ANYONE giving it a low star rating. Which must mean it is a piece of magic, right? !